Well before 1900, Bath had become Maine’s shipbuilding center, successfully converting from wooden ship building to metal. Metal working skills grew out of the steam boiler building business and large scale machine shops which hardly existed anywhere else in Maine. 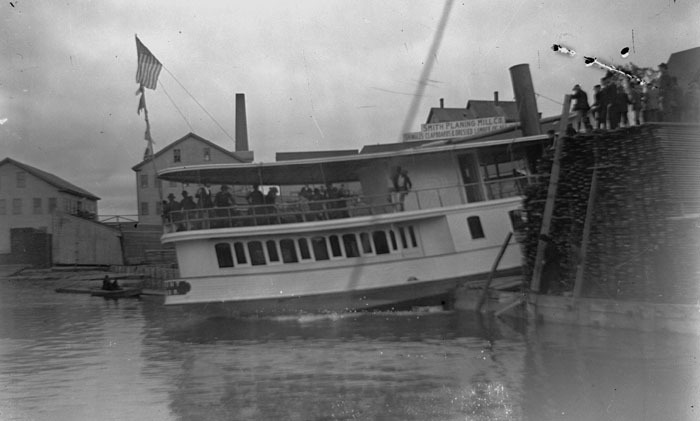 Other Maine-built steamers bought engines and boilers from Bath or out of state. Established in 1884 by Thomas Hyde in Bath, Maine to consolidate his various maritime companies. A mechanically-propelled vessel in which the principal motive power is steam, as opposed to a sailing vessel or motorship. Steamboats traditionally were the sometimes sizable coastal steamers, while steamship referred to ocean going vessels., most of which were built in Great Britain. Small herring, preserved in oil or sauces and canned. Maine had many sardine factories. carriers, most engine-powered. 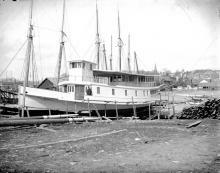 Some commercial schooner construction persisted until about 1940. 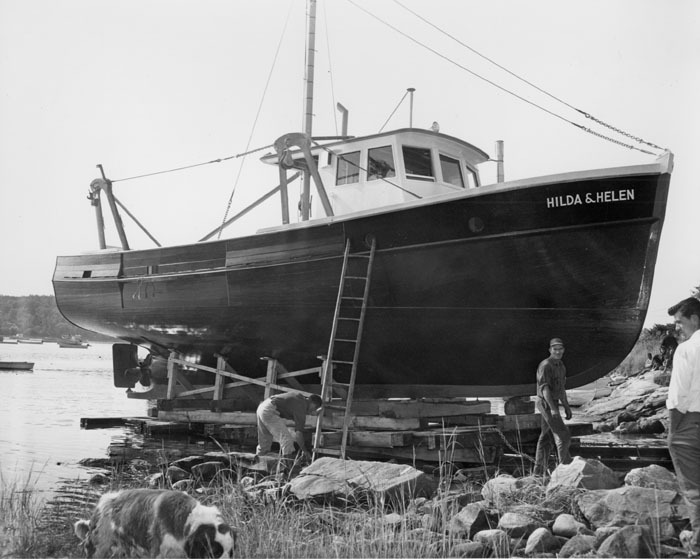 During the Second World War, there was a fresh flurry of wooden shipbuilding and boatbuilding in the historic shipyards in Camden, Rockland, Thomaston, and East Boothbay. Mine sweepers and a wide range of support vessels, up to 200 feet long, kept wooden shipbuilding skills alive for another generation. 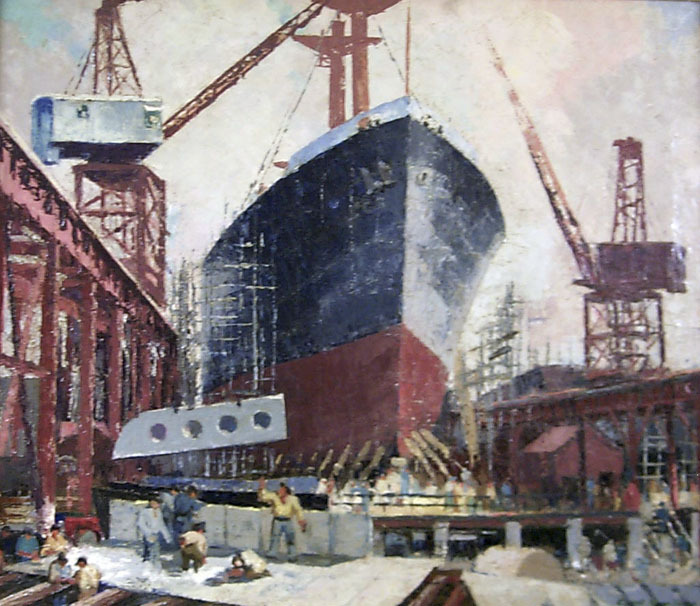 Click here to view shipbuilding images from PMM's photo collection. The generic term for a rigid solid made by taking woven or matted fibers of spun glass or other materials such as Kevlar and carbon fiber and saturating them with a liquid resin that hardens over time. It is more accurately described as Glass Reinforced Plastic (GRP) or fiber reinforced polymer (FRP)..